Rationalist Judaism: Happy Pi Day! Today, 3.14, is Pi Day. In the past, I have discussed the significance of Pi in Tanach and in the writings of Rambam. 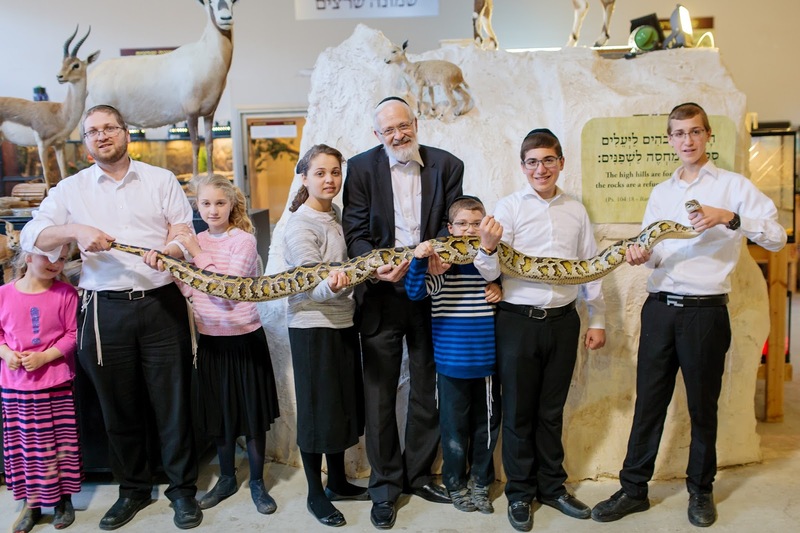 Today, I would like to present a picture of Cuddles, our largest snake at The Biblical Museum of Natural History, who is now almost exactly 3.14 meters long. He is a pi-thon! HAHAHA! I held that snake (at least part of him). Is that Rabbi Adlerstein and his grandkids? Who Should We Be Helping On Purim?